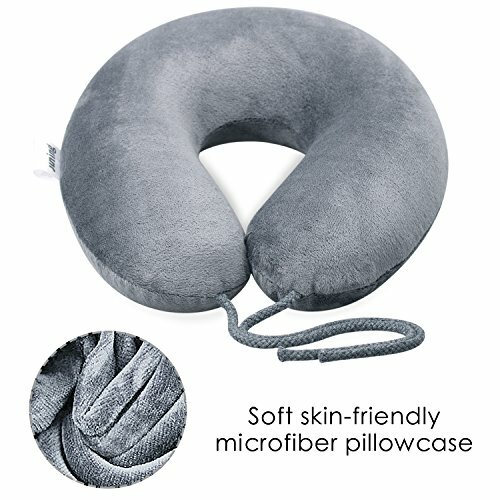 Comfortable Design: The travel pillow is covered by soft microfiber pillowcase and with built-in high quality, resilient and extra dense memory foam which molds perfectly to your neck for maximum and ultimate comfort support and attached ropes for customized fitting. 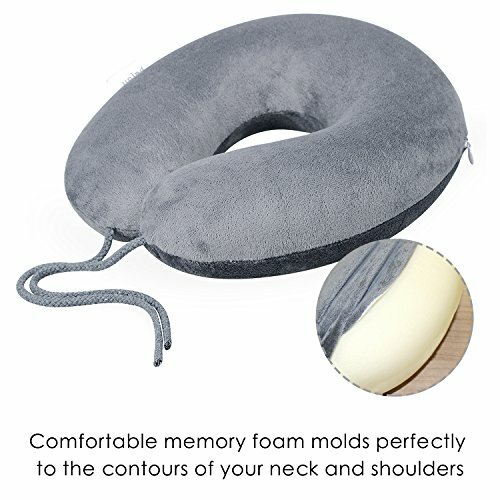 Good Neck Support Pillow: The neck pillow wraps gently around the neck for relaxing the head and neck muscles and provides super soft and best support simultaneously to the head, neck, and chin while sleeping upright without getting a stiff neck. 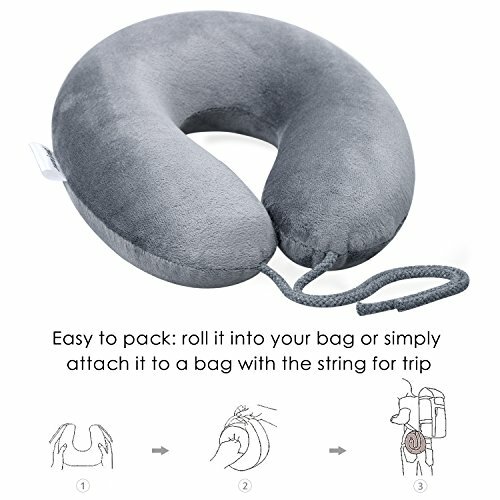 The pillow is very soft, so you can also twist it in several positions and control how tight it will be around your neck with the ropes. With the support of this pillow! You now can sleep soundly! Versatile Use: Great for traveling use in a car, truck, bus, train, or plane, and also for lounging at home or by the pool. You can use it at home while watching TV on sofa, or use it on your outdoor hammock bed beside pools and beaches. 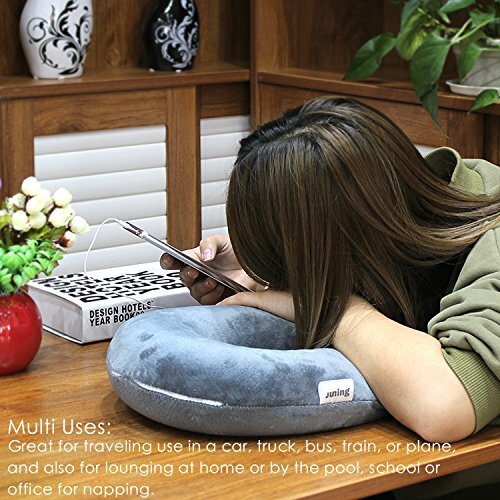 You can also use it at school or office for napping. Or for those people having trouble holding the head up and need support or to sleep in an upright position. 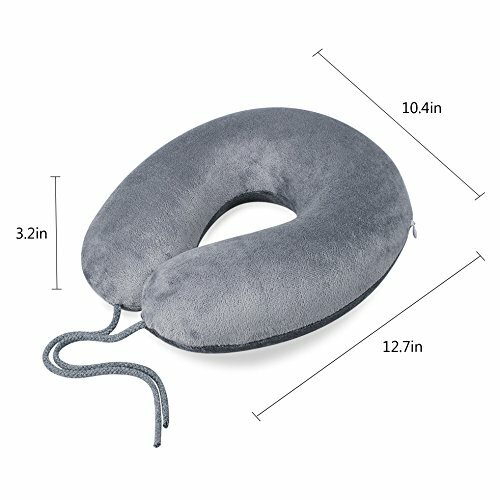 Are you looking for a comfortable travel neck pillow that works perfectly for you? 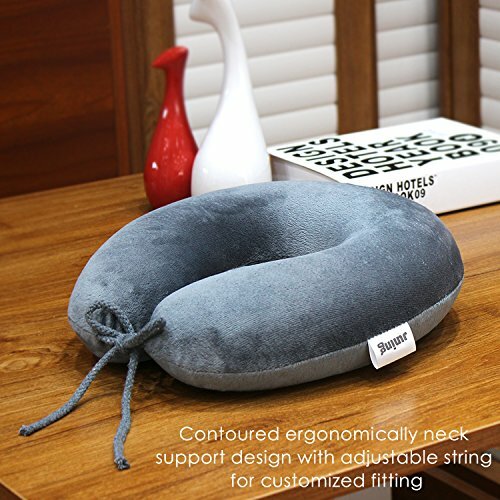 Right here – Our JUNING U-Shape Memory Foam Travel Pillow, Neck Pillow cradles your head and neck in a comfortable position, making it easy to sleep on the plane, train or in a car. Best Customer Service – Our goal is offer you the best item and best service. If you have any question contact us at any time. We will try our best to help you. Space Saving and Easy for Clean: Built with ropes makes it easy to attach to a carry-on luggage without taking up extra space. It can also be compressed into a very small object without taking too much space, so you can take it anywhere. If your pillow gets dirty, you can easily take off the pillowcase to wash it. 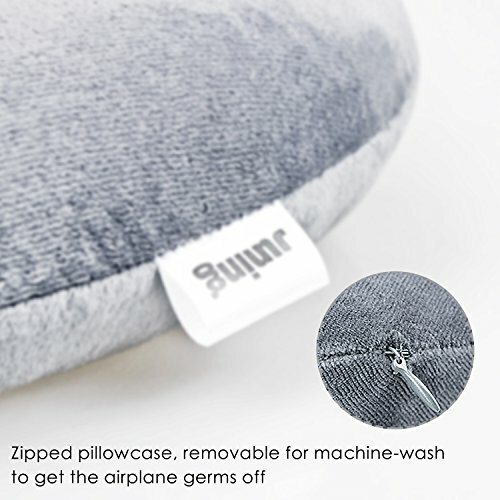 The zippered cover is machine-washable. Always sleep on a clean pillow! 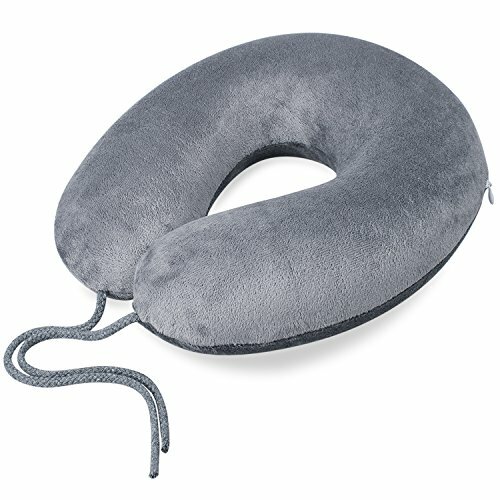 Perfect Gift: Imagine a stress-free travel sleep experience with this super soft neck pillow. A perfect travel accessories gift for your family members, friends, classmates or colleagues in birthdays, Valentine’s Day, mother’s day, father’s day, weddings, graduations. It will last for years of use and will remind your loved ones that you care about them.